Seven Studios has announced a partnership with leading Australian e-retailer OZSALE to launch a range of official Home and Away merchandise, inspired by the iconic Australian drama series. OZSALE, part of The Mysale Group will be the official merchandise and e-commerce partner for Home and Away offering an exclusive range of consumer products launching first in Australia, followed by the UK & Ireland in November the new range of Home and Away branded merchandise will include apparel and accessories inspired by the iconography of the brand, slogans, lyrics, key themes and characters of the iconic Aussie show. Product will be available at the official site www.homeandawaystore.com.au, via Mysale sites and on location at selected outlets at Sydney’s Palm Beach. 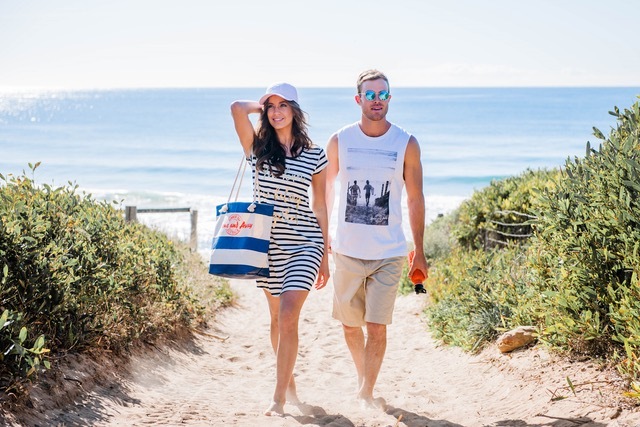 In addition, Seven Studios and OZSALE will also launch a new aspirational beach lifestyle brand – SUMMER BAY – targeting fun, fashion-forward twenty-somethings capturing the essence of the iconic Aussie Summer. SUMMER BAY is inspired by the sun, sand and surf of the Aussie beach lifestyle. OZSALE has plans to launch the range globally in November at www.summerbay.com and via Mysale sites. An iconic part of Aussie culture for decades, Home and Away is the most watched serial drama for millions of Australians. International audiences in more than 60 countries are also captivated by the Australian beach lifestyle and the unmissable drama. Home and Away currently airs twice daily on Channel 5 in the UK, RTE in Ireland and on TVNZ in New Zealand.